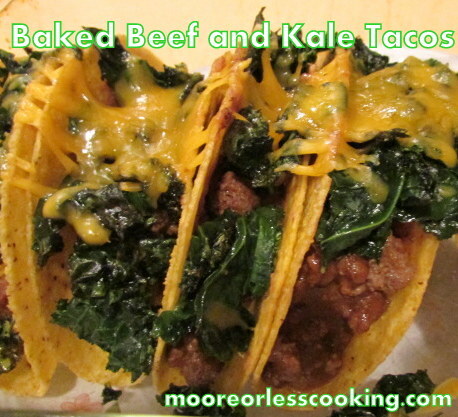 Are you craving Tacos but tired of the same ol’ boring taco’s? 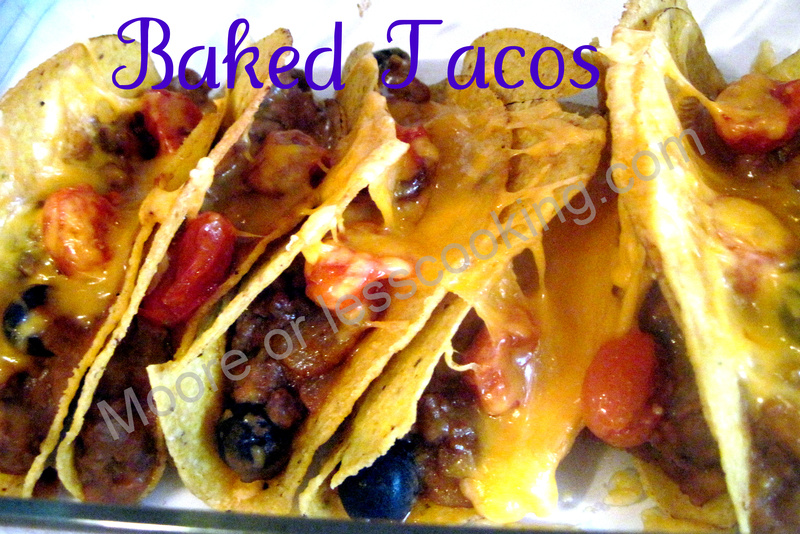 Switch it up with these delicious Cheesy Baked Tacos! HORMEL® TACO MEATS Beef Crumbles, Beans, Olives and Rotel Tomatoes all baked in a crunchy corn taco shell! Add your favorite toppings to make this meal a fiesta in every bite! You can have dinner on the table in under 20 minutes! How awesome is that? Have your toppings ready for everyone to make their delicious and creative taco. 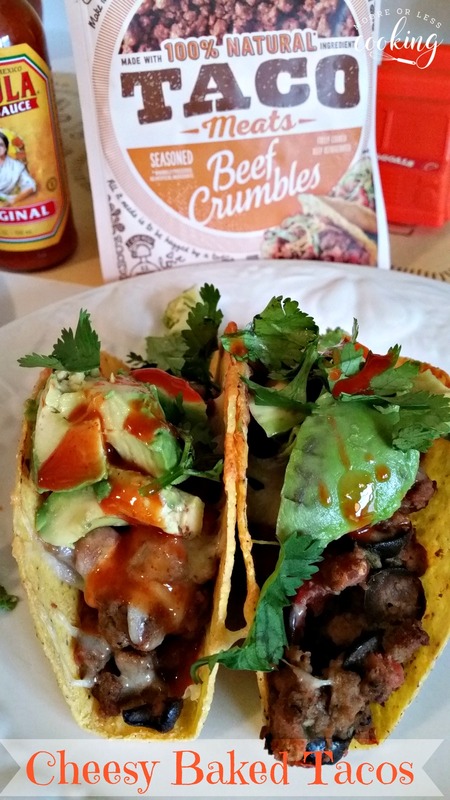 I love Cholula, Cilantro and avocado on my Easy Cheesy Baked Tacos! 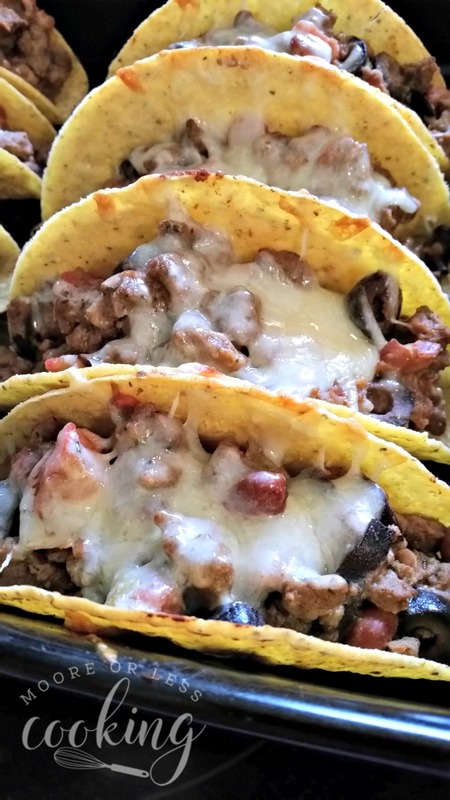 Easy Cheesy Baked Tacos with Hormel Taco Meats, beans, olives, tomatoes and lots of cheese all baked in a crunchy corn taco shell! In a large bowl, combine HORMEL® TACO MEATS Beef Crumbles, refried beans, Rotel, olives. Set aside. In a baking pan, line up stand up corn tortilla shells. Stuff each corn tortilla with 2 tablespoons of meat mixture. Top with grated cheese. Bake in oven for 10 minutes until shells are crispy and cheese is melty. This post is sponsored by Hormel. All opinions are mine as always. Follow Hormel for more recipe ideas!